Law Web: Whether court will permit production of documents of one party in arbitration proceeding if it will jeopardise interest of said party? Whether court will permit production of documents of one party in arbitration proceeding if it will jeopardise interest of said party? Arbitration - Production of document - Applicant filed application to direct to Superintendent of Police CBI to produce charge-sheet and other documents filed in criminal complaint on file of Special Judge for CBI cases before arbitral Tribunal - Hence, this Application - Whether, documents which were directed to be produced before arbitrator were to be produced by Superintendent of Police, CBI - Held, discretion was conferred on Court to order request made by arbitral Tribunal or party by ordering that evidence could be produced directly to the arbitral tribunal - Arbitral proceedings were initiated at instance of applicant for recovery of sum from Respondent in respect of excess payments made to Respondent - Thus, Applicant had to prove his case on its own evidence without taking support from evidence of Respondent - Proceedings before arbitral Tribunal and CBI Court were totally two different proceedings and they were different in content and consequence - Further, evidentiary value of charge-sheet itself was questionable and if produced it could jeopardise interest of Respondent before Criminal Court - Thus, applicant had not made out case to exercise discretion in their favour under Section 27 of Act 1996 - Application dismissed. Ennore Port Ltd. Vs.Hindustan Construction Co. Ltd.
1. This application has been filed to direct the Superintendent of Police CBI (Anti-corruption Bureau) (CBI, ACB). Third Floor, Shastri Bhavan, Chennai 600006 to produce the charge-sheet together with all the annexures filed in C.C. No. 26/ 2003 pending on the file of the Special Judge for CBI cases, Chennai to the Chairman of the Arbitral Tribunal. Mr. Jagman Singh at No. 15-B Sector 27-A. Chandigarh-160 019, as per the order of The Arbitrators dated 26-4-2006. 3. The predecessor-in-interest of the applicant namely Chennai Port Trust and the respondent herein entered into a Rock Quarrying and Transportation Contract ("FCPP/CA Contract") namely agreement No. 24 dated 6-6-1996 to quarry and transport rock required for construction of the breakwaters at Innore from Karaikkal to the Innore Port Site. Under the said contract the quarried rocks were to be transported by rail from Melpakkam (near Arakkonam) to the Ennore Port Site. As per the terms of the contract rail rakes would be placed at specified times for use by the respondent for transport of rock. 4. It is stated by the applicant that contrary to the terms of the said contract, the engineer under the said contract had certified certain payments and consequently such payments were released to the respondent-contractor by the applicant. Findings that excess payments were made to the respondent an FIR was filed and investigation was carried out by CBI. It is found in the investigation conducted by the CBI that excess payment was made to the contractor-respondent on account of the connivance and conspiracy of the employees of Chennai Port Trust, the respondent-contractor and the engineer who certified the payments and consequently the CBI also filed a criminal complaint in C.C. No. 26/2003 on the file of the learned Special Judge for CBI cases, Chennai. Now charge-sheet has been filed and the case has been posted for further evidence by the prosecution witnesses. 5. The CBI had seized in the course of investigation all the relevant documents in connection with the said contract from the applicants predecessor-in-interest to be produced in support of their case before the Special Judge for CBI. In view of this, the applicant is not in possession of those said documents seized by the CBI. Further since they are also not a party in the proceedings in C.C. No. 26/2003 before the Special Judge for CBI cases, they are also not able to receive the copies of the documents produced by the CBI. The arbitration proceedings have already been initiated by the applicant against the respondent for recovery of, excess payments that were fraudulently and wrongly certified for payments. 6. In the course of the arbitral proceedings, the applicant sought for direction from the arbitral tribunal directing the respondent to produce the copies of documents which have been filed by the CBI before the Special Judge for CBI cases, Chennai. On 23-12-2005, the tribunal on the basis of the application filed by the applicant directed the respondent to produce the copies of charge-sheet and other documents filed by the CBI along with the charge-sheet in C.C. No. 26/2003 before the Special Judge for CBI cases. The respondent did not comply with the directions given by the arbitral tribunal for production of documents. Therefore the applicant filed an application before the arbitral tribunal seeking approval of the tribunal to file an application under Section 27 of the Act, 1996 before this Court. On 26-4-2006 the arbitral tribunal gave approval to the applicant to file an application before this Court under Section 27 of the Act, 1996. Consequently, this application has been filed by the applicant for directing the Superintendent of Police, CBI, to produce the charge-sheet together with all enclosures filed in C.C. No. 26/2003 pending on the file of the Special Judge for CBI cases. Chennai, to the Chairman of the arbitral tribunal. 7. On issuance of notice the respondent appeared before this Court through counsel and resisted the application by filing a counter. 8. In the counter, the respondent stated that since the documents sought to be produced are related to criminal proceedings production of the documents might cause serious prejudice to the defence of the respondent and therefore expressed his legal inability to produce the documents before the arbitral tribunal. It is further stated that the order of the tribunal dated 23-12-2005 granting approval to approach the Court for production of criminal Court documents for deciding an arbitration case is contrary to law and is liable to be rejected. The respondent further averred that these documents do not have any evidentiary value until they are substantiated. Further an accused before the criminal Court cannot be compelled to disclose his defence before the completion of the trial. Therefore, the respondent prayed for the dismissal of the above application. 9. Heard the learned Counsel for the applicant and the learned senior counsel for the respondent. I have also gone through the documents filed and the judgments referred to by them in support of their submissions. 1) MANU/WB/0007/1994 : (1994)1CALLT121(HC) (Shankarlal Majumdar v. State of West Bengal). 2) 1994 (2) Arb LR 144 (Delhi) (Lalit Madhan v. Budg. CCICS of India). 11. The learned Counsel for the applicant submitted that under Section 27 of the Act 1996 the Court is empowered to direct the production of certain documents which are necessary for effective adjudication of the dispute. 12. It is the further case of the learned Counsel for the applicant that when the earlier application taken by them before the tribunal to produce the very same document, the tribunal allowed the same by an order dated 23-12-2005. Despite that the respondent did not produce the documents. Therefore they have to necessarily resort to the legal remedy by filing an application under Section 27 of the Act 1996 after getting the approval of the arbitral tribunal by its order dated 26-4-2006. Furthermore the arbitrators after satisfying the reasons adduced for the production of the documents only, directed the respondent to produce the same before the tribunal. But the said direction was not complied with for the reasons best known to the respondent. 13. Relying upon the above decisions learned Counsel for the applicant submitted that these documents are essential for proving the case of fraudulent act committed by the engineer in recommending and certifying payments to the respondent. Therefore he insisted that an order being passed for the production of the documents by the CBI to the arbitral tribunal directly. 14. Per contra the learned Senior Counsel for the respondent resisted the application by contending that the documents are not to be produced before the tribunal for more than one reason. First and foremost, the learned Senior Counsel contended that these documents are legally prohibited from producing the same before any forum. He relied on the provision under Section 162 of the Criminal Procedure Code. Provided that when any witness is called for the prosecution in such inquiry or trial whose statement has been reduced info writing as aforesaid, any part of his statement if fully proved may be used by the accused, and with the permission of the Court by the prosecution, to contradict such witness in the manner provided by Section 145 of the Indian Evidence Act, 1872; and when any part of such statement is so used, any part thereof may also be used in the re-examination of such witness, but for the purpose only of explaining any matter referred to in his cross-examination. (2) Nothing in this section shall be deemed to apply to any statement falling within the provisions of Clause (1) of Section 32 of the Indian Evidence Act 1872, or to affect the provisions of Clause (1) of Section 32 of the Indian Evidence Act, 1872, or to affect the provisions of Section 27 of that Act. Explanation :- An omission to state a fact or circumstance in the statement referred to in Sub-section (1) may amount to contradiction if the same appears to be significant and otherwise, relevant having regard to the context in which such omission occurs and whether any omission amounts to a contradiction in the particular context shall be a question of fact. 15. According to Section 162 of Cr.P.C. excepting two excepted purposes namely, under Section 32 of the Indian Evidence Act and Section 27 of the Indian Evidence Act, no document could be used for the purpose of investigation. Therefore any direction that would be given for the production of the document would run contrary to the statutory provisions of the Cr.P.C. 16. The learned Senior Counsel has also submitted that the officer of the applicant who is representing the applicant before the tribunal day in and day out is an officer who is appearing before the criminal Court as P.W. 1. That being so, any document to be produced by him who is an accused in C.C. No. 26/2003 before the tribunal would be seen and read by the officer of the applicant-company who is effectively representing before the tribunal. Once it is seen or referred to by the officer-P.W. 1 it would certainly prejudice the interest of the respondent-accused before the criminal Court. Therefore, the documents cannot be directed to be produced before the tribunal. Moreover under Section 173 of the Cr.P.C. the charge-sheet is the opinion of the police officer and it cannot be considered as a piece of evidence. These documents being the result of the investigation, direction to produce the same would definitely prejudice the interest of the respondent-accused. 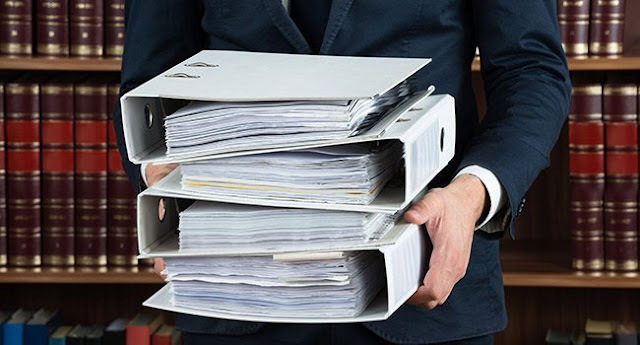 It is also the case of the respondent that all the documents which are directed to be produced before the arbitral tribunal are the documents which were in possession of the applicant. Therefore, the direction is not necessary at all. It is further submitted by the learned Senior Counsel that the matter has been pending from 2002 to 2006 and therefore if only the applicant had exercised due diligence for producing those documents before the tribunal, stage would have been taken much earlier for the same instead of taking steps at the time of commencement of the criminal trial. This clearly exhibits the intention of the applicant to arm-twist the respondent in the criminal trial. Therefore what cannot be achieved directly cannot be achieved indirectly by the applicant before the tribunal. It is also submitted by the learned Senior Counsel that under Section 27 of the Act, 1996, the Court has been left with the discretion to decide about the necessity of producing documents before the tribunal and only after satisfying itself the Court could give a direction and it is not automatic or procedural as projected by the learned Counsel for the applicant. Therefore in sum and substance the learned Senior Counsel submitted that having waited for such a long time the applicant has filed this application seeking for production of the document only to take undue advantage at the time of cross-examination of the respondent in the trial Court. 17. The learned Senior Counsel relied on a decision of Hon'ble Supreme Court reported in MANU/SC/1224/1997 : (1997)6SCC171 (Virender v. State of Delhi). 18. I have considered the rival submissions made by both the learned Counsel and the learned Senior Counsel. 19. The application was filed under Section 27 of the Act 1996 to direct the CBI to produce the charge-sheet and other documents filed in C.C. No. 26/2003 on the file of the Special Judge for CBI cases before the arbitral tribunal. 21. Court assistance in taking evidence :- (1) The arbitral tribunal or a party with the approval of the arbitral tribunal may apply to the Court for assistance in taking evidence. (i) the name and address of any person to be heard as witness or expert witness and a statement of the subject-matter of the testimony required. (3) The Court may, within its competence and according to its rules on taking evidence execute the request by ordering that the evidence be provided directly to the arbitral tribunal. (4) The Court may while making an order under Sub-section (3), issue the same processes to witnesses as it may issue in suits tried before it. (5) Persons failing to attend in accordance with such process or making any other default or refusing to give their evidence or guilty of any contempt to the arbitral tribunal during the conduct of arbitral proceedings shall be subject to the like disadvantages, penalties and punishments by order of the Court on the representation of the arbitral tribunal as they would incur for the like offences in suits tried before the Court. 21. A close reading of the above section will make it clear that a discretion is conferred on the Court to order the request made by the arbitral tribunal or the party by ordering that the evidence may be produced directly to the arbitral tribunal. 4. Power of Court to issue processes for appearances before arbitrator :- (1) The Court shall issue the same processes to the parties and witnesses whom the arbitrator or umpire desires to examine as the Court may issue in suits tried before it. (2) Persons failing to attend in accordance with such process or making any other default, or refusing to give their evidence or guilty of any contempt to the arbitrator or umpire during the investigation of the reference, shall be subject to the like disadvantages, penalties and punishments by order of the Court on the representation of the arbitrator or umpire as they would incur for the like offences in such trial before the Court. (3) In this section the expression "professes" includes summonses and commissions for the examination of witnesses and summonses to produce documents. 11. We therefore hold that Section 43 is confined to cases where a person, whether a party or a third person is required to appear as a witness before the arbitrator. Such witnesses "whom the arbitrator or umpire desires to examine" may be summoned through Court. This is apparent from the explanation attached to Section 43. In the explanation the expression 'process' is defined as including summonses and commissions for the examination of witnesses and summonses to produce documents. The expression 'examine' is significant. Suppose the arbitrator desires to examine a witness or a party, the Court is given the power to issue what are called a 'witnesses' 'summons'. By its coercive power the Court compels the attendance of a witness to give evidence before the arbitrator. If the witness is "guilty of any contempt to the arbitrator or umpire" he can be punished by the Court. Sub-section (2) of Section 43 says this. Section 43 is confined to witnesses and witnesses alone. 12. Section 43 has no application where the party to an arbitration agreement has to be summoned for appearance before the arbitrator so that he may participate in the proceedings and state his defence. The learned Judge seems to have been misled by the expression 'parties' appearing in Section 43. The word 'parties' is used in the sense where the party itself is desired to be examined as a witness by the arbitrator or umpire. The expression 'witnesses' used along with the word 'parties' makes the meaning of the legislature abundantly clear. The principle of construction is that birds of the same feather flock together. 24. In the above decision the Division Bench of the Delhi High Court held that Section 43 confines to witnesses and witnesses alone and it has no application to the parties to an arbitration agreement. 25. Sub-section (3) to (6) of Section 27 of the Act 1996 corresponds to Sub-section (1) to (3) of Section 43 of 1940 Act. Therefore Section 27 also confines to cases to witnesses alone and not to parties before the arbitrators. 26. In the case on hand a request was made before the arbitral tribunal to direct the respondent herein who is a party before the arbitral tribunal to produce copies of documents which have been filed by the CBI before the criminal Court. The arbitral tribunal by order dated 23-12-2005 directed the respondent herein to produce the documents namely the CBI charge-sheet on or before 15-1-2006. For this direction dated 23-12-2005, the respondent issued a detailed reply expressing his inability to produce those documents as they would seriously prejudice the defence of the accused especially when the prime prosecution witness is also representing the applicant/ claimant before the arbitral tribunal. Thereafter the applicant herein sought the approval of the arbitral tribunal to file an application under Section 27 of the Act 1996 before this Court and the arbitral tribunal by its order dated 26-4-2006 granted its approval and accordingly the applicant is before this Court. 27. When the direction of the arbitral tribunal to produce the documents was not complied with by the respondent herein the arbitral tribunal did not choose to file an application under Section 27 of the Act and it is only the applicant herein who moved this Court after getting the approval. Originally the direction was given to the respondent to produce the documents. Now the direction sought for in this application is to direct the Superintendent of Police. CBI to produce the documents and thus the prayer has been obviously changed to suit Section 27 of the Act 1996. It is also not very clear whether after producing the documents by the Superintendent of Police he is to be examined or not. 28. Court is not expected to pass an order automatically once an application is made under Section 27 of the Act and it has been conferred with discretion whether to order the request or not. 29. It is true that appreciation of evidence by the arbitrator is not a matter which the Court questions and considers and an arbitrator is a sole Judge of the quality as well as the quantity of the evidence as held in MANU/MH/0036/1996 : AIR1996Bom189 (cited supra). Similarly whether a particular document is material or not and whether it should be produced before the arbitrator is eventually a matter for the arbitrator to decide and whatever decision taken by the arbitrator is binding on the parties as held by the Calcutta High Court in MANU/WB/0007/1994 : (1994)1CALLT121(HC) (cited supra). But it does not mean that Court is left with no option except to order the request made under Section 27 of the Act 1996. The other decisions relied on by the learned Counsel for the petitioner are distinguishable on facts and they are not directly dealing with the issue involved in this application. 30. In the light of the above, now let me consider whether the documents which are directed to be produced before the arbitrator are to be produced or not by the Superintendent of Police, CBI. 31. Admittedly, arbitral proceedings were initiated at the instance of the applicant for a recovery of a sum of Rs. 12,93,92.982/- from the respondent in respect of excess payments made to the respondent on account of connivance and conspiracy by the employees of the Chennai Port Trust (predecessor-in-interest to the applicant), the respondent and the engineer who certified the payments. Thus the applicant has to prove before the arbitral tribunal how the excess payments were made and if proved they are entitled to an award for the above said sum. In such circumstance, the applicant has to prove his case on its own evidence without taking support from the evidence of the respondent. 32. The proceedings before the arbitral tribunal and the CBI Court are totally two different proceedings and they are different in content and consequence. As rightly pointed out by the learned Senior Counsel for the respondent, the evidentiary value of the charge-sheet itself is questionable and if produced it would also jeopardise the interest of the respondent before the criminal Court. 33. It MANU/SC/1224/1997 : (1997)6SCC171 (cited supra), the Hon'ble Supreme Court held that statement made before the police officer during investigation cannot be used for any other purpose except when it attracts Section 27 or Section 32(1) of the Evidence Act. 34. Therefore, I am of the opinion that the direction as prayed for cannot be given as I am not satisfied that the applicant has made out a case to exercise my discretion in their favour under Section 27 of the Act 1996. The arbitral tribunal had already directed the respondent to produce the very same document. But the same was not complied with by the respondent herein by issuing a detailed reply dated 10-2-2006 expressing their inability to do so and the same is a part of the record before the arbitral tribunal. The arbitral tribunal is expected to proceed further on the basis of this reply dated 10-2-2006 in accordance with law. 35. In the result, the Application is dismissed. No costs.